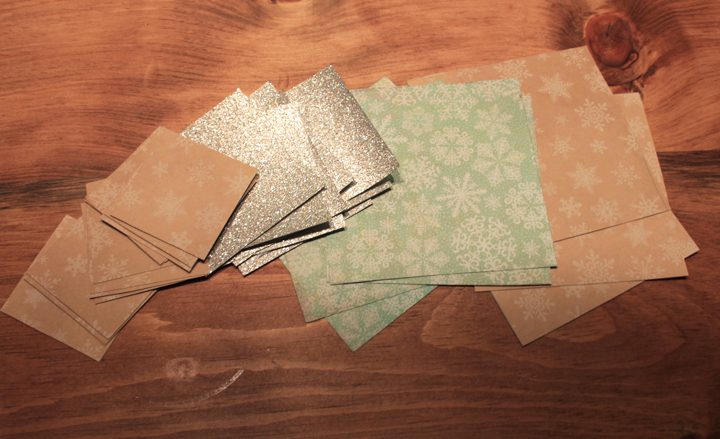 Cut the card stock into squares. Fold each square three times so that you have a triangle. Cut various shapes and holes in the triangle. Experiment with various cutting techniques to see what looks good. 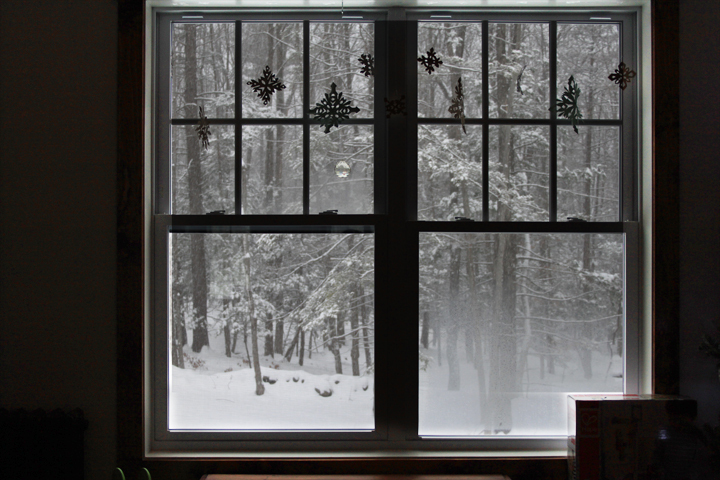 Use the fishing wire and scotch tape to string the snowflakes from your window sill. Enjoy the entire winter!